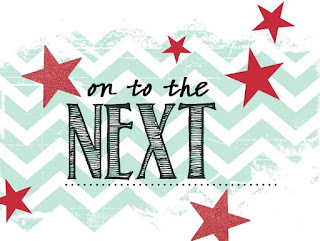 Stampin with Liz Design: Stampin with Liz Design: Creation Station Blog Hop! Video Tutorial! 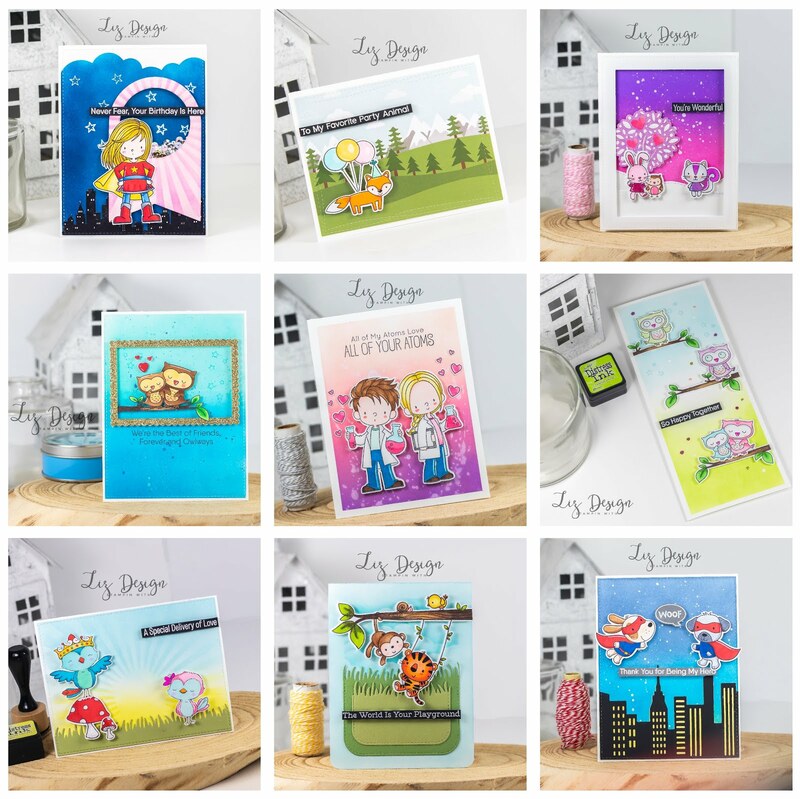 Stampin with Liz Design: Creation Station Blog Hop! Video Tutorial! Hi everyone! 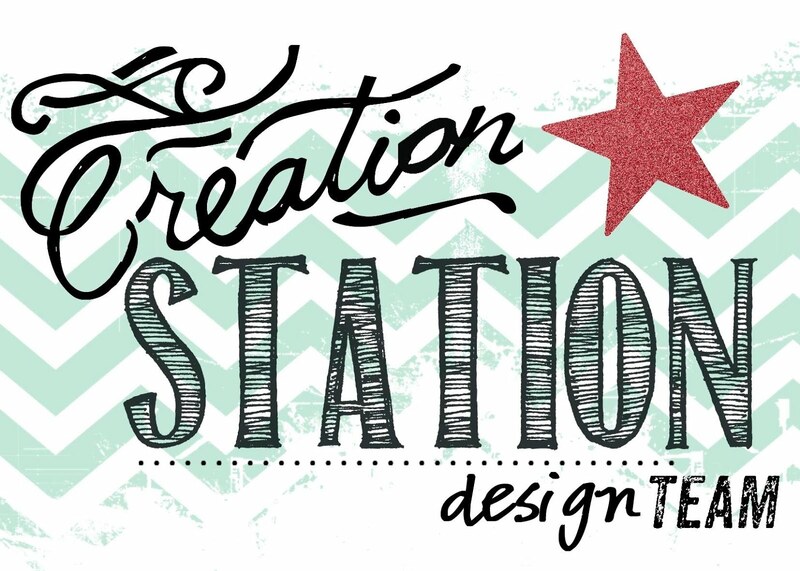 Welcome at a new Creation Station Blog Hop this sunday! Hope you are all enjoying a great weekend! Are you ready for some great inspiriation today? 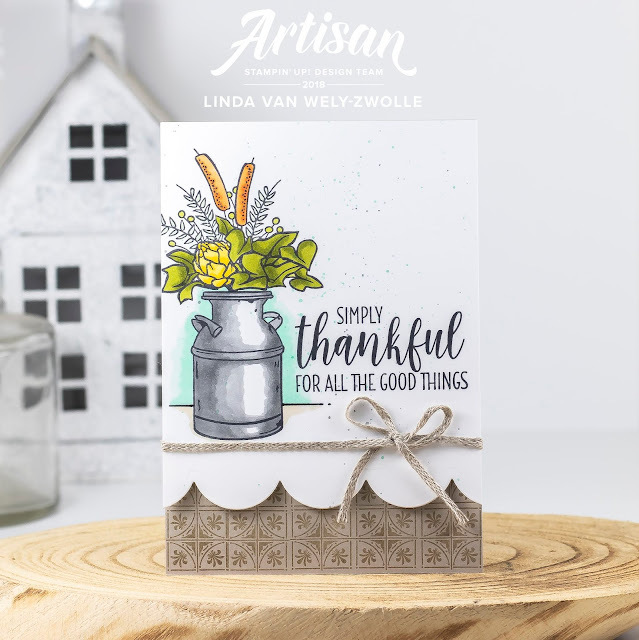 Today the team members like to show you some amazing projects within the theme 'In All Things Give Thanks'. You can hop along with us today by using the next button at the end of this post. You can also find a video tutorial for this card at the end of this post. Enjoy! I created this gorgeous card for todays Blog Hop with the amazing stamp set Country Home! You can find this amazing set in the Autumn/Winter catalog of Stampin' Up! I used a piece of Sahara Sand Cardstock for my card. I used the gorgeous sqaure stamp for the bottom and used Crumb Cake ink. I used a piece of Whisper White Cardstock for the front of my card. I diecutted it at the bottom with a thinlit from the Seasonal Layers Thinlits to create a romantic border. I stamped the flowers and tekst on to my paper using the Stamparatus Tool. I added a line to create sort of a horison just by using a black marker and ruler. I coulered the images with Stampin' Blend Markers and added a piece of Braided Linen Trim. If you would like to see how this card came about, check the video totorial I created below, or watch on my YouTube channel in HD! I listed the supplies I used at the end of this post in a Supply List. Are you hopping along with us today? Check out the amazing projects from the other team members by clicking on the next button below! I would love if you'd follow me on social media! you can do so by clicking on the buttons below! I hope you enjoyed my post today, thanks for watching, see you next time! 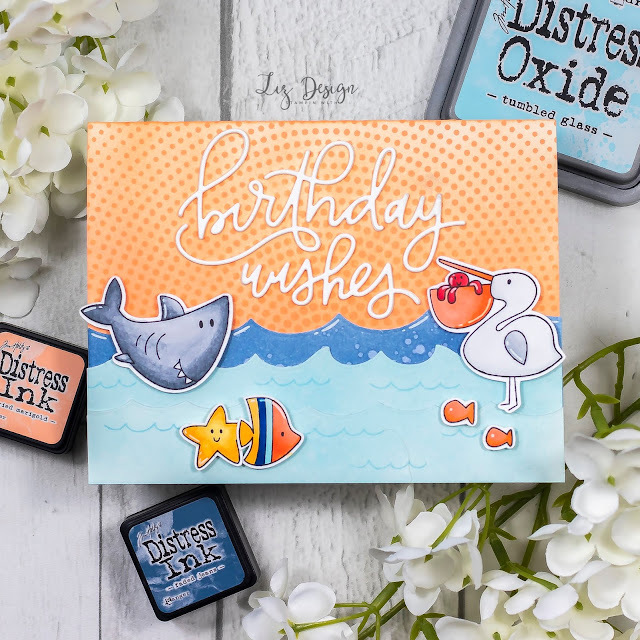 Stampin with Liz Design: Postcard Pals Card! 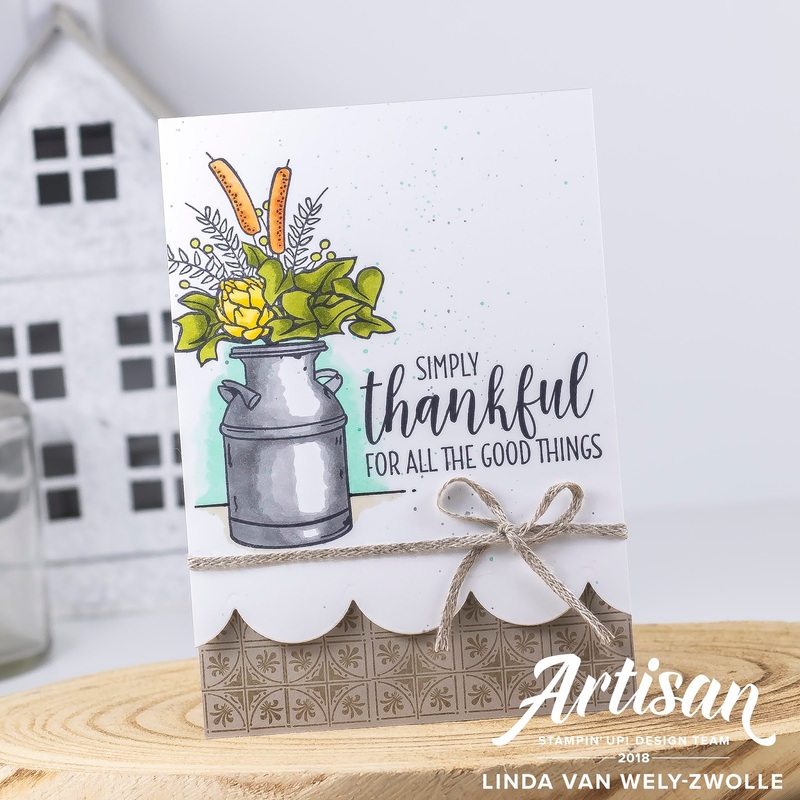 Stampin with Liz Design: Country Home Card! Stampin with Liz Design: Tea Lights Stamping Fun!